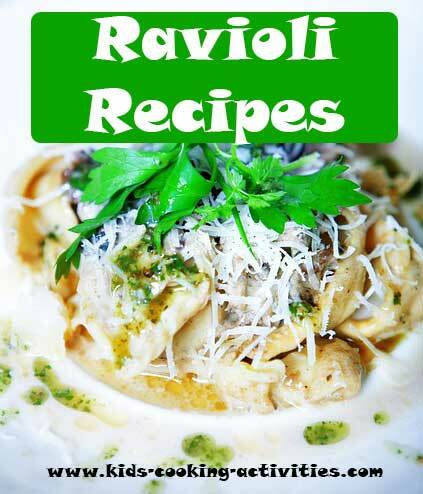 A collection of some of our favorite ravioli with sauce recipes as well as ravioli salad. 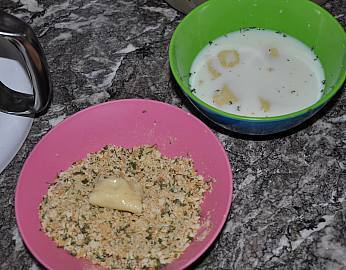 My husband spent sometime in Turkey and loved the ravioli with yogurt sauce. We reinvented it a little and it is one of our favorites. My kids often eat it without the sauce. For special occasions we make fresh ravioli with pork inside and top it with this sauce. Boil 8 quarts water. 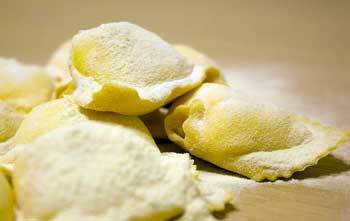 Gently add pasta to boiling water and simmer under reduced heat for 5 minutes or until ravioli rise to the top. Taste pasta for doneness. Mix sauce ingredients together and pour over cooked pasta squares. Serve immediately. You may also like a spaghetti sauce recipe to go with your ravioli instead of the yogurt sauce. 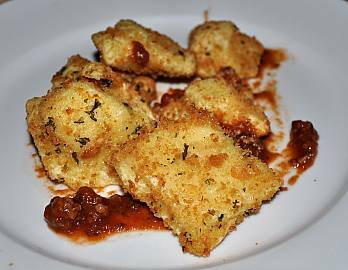 This is one of our favorite family meals, we usually only do it on special occasions because it is fried and we make our ravioli from scratch. You can easily buy frozen ravioli and use it instead. Boil a large pot of water and add cheese raviolis. Cook 5-7 minutes or until ravioli's come to the top of the pot. 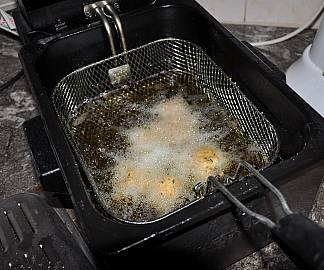 Drain and preheat a deep fat fryer or pot of oil. Place milk in a small bowl. Place bread crumbs in a separate small bowl. 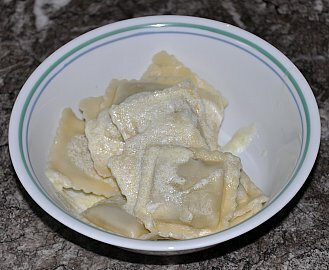 Place raviolis in milk. Then take out and coat in bread crumbs. Place in hot oil and fry 1 minute or until toasted. Drain on paper towels and serve warm with spaghetti sauce. Cook ravioli in boiling water until tender. The last few minutes add frozen peas and drain. Meanwhile, whisk together half and half, pureed tomatoes, flour and pepper. Stir several minutes until thickens. Toss sauce with ravioli and peas. Sprinkle with Parmesan cheese and serve. 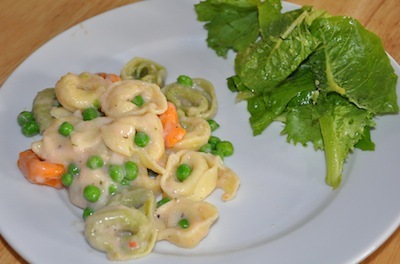 A variation from ravioli with sauce could be a ravioli salad! fresh vegetables diced, such as asparagus, green peas, green beans, halved grape tomatoes, etc. Boil your ravioli until tender. Meanwhile chop any fresh vegetables you'd like to add to your salad. If you'd like you can cook chopped carrots, fresh green beans, etc that need softening. In a serving bowl, add cooked ravioli and vegetables. Toss nuts and drizzle with Parmesan cheese and olive oil. Serve.